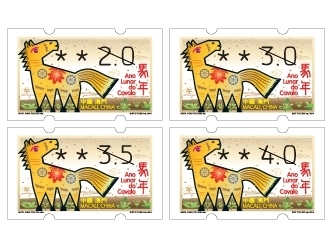 STAMP ISSUE "LUNAR YEAR OF THE HORSE (LABEL STAMP) "
STAMP ISSUE OF LABEL STAMP "LUNAR YEAR OF THE HORSE"
Following the first issue of the label stamp of Chinese Zodiac “Lunar Year of the Snake” issued last year, Macao Post will release the second issue of label stamp series of Chinese Zodiac with the stamp theme “Lunar Year of the Horse” on 14th February, 2014, the printing quantity is 750,000 label stamps. 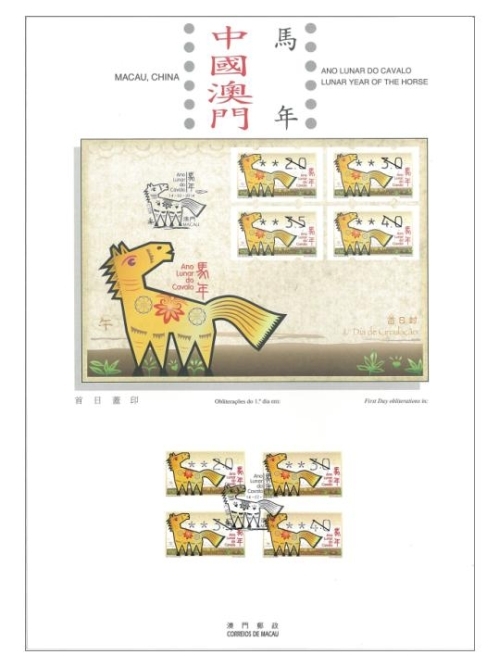 On the issue date, the maximum sales-quota per queuing customer is 20 sets of label stamps, 5 first day covers with label stamps and 10 information brochures with label stamps. 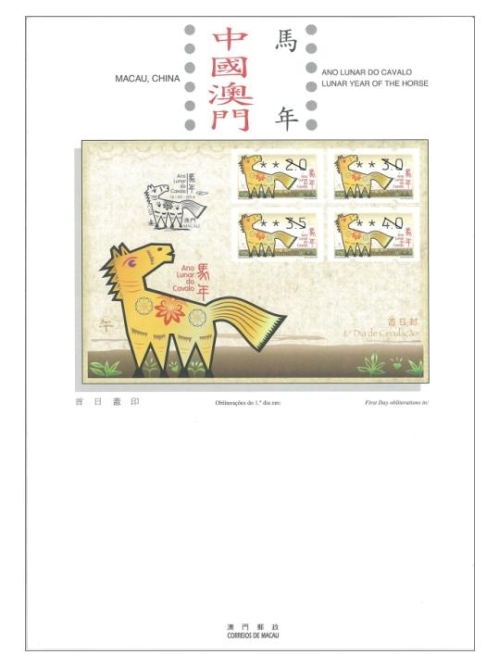 Besides, the automatic stamp vending machines located at the Macao Post Headquarters, the Maritime Ferry Terminal Post Office, the Red Market (Almirante Lacerda) Post Office, the Mong Ha Post Office, and the Communications Museum will have a temporary arrangement; the maximum time limit for using the vending machine is 10 minutes for each queuing customer. 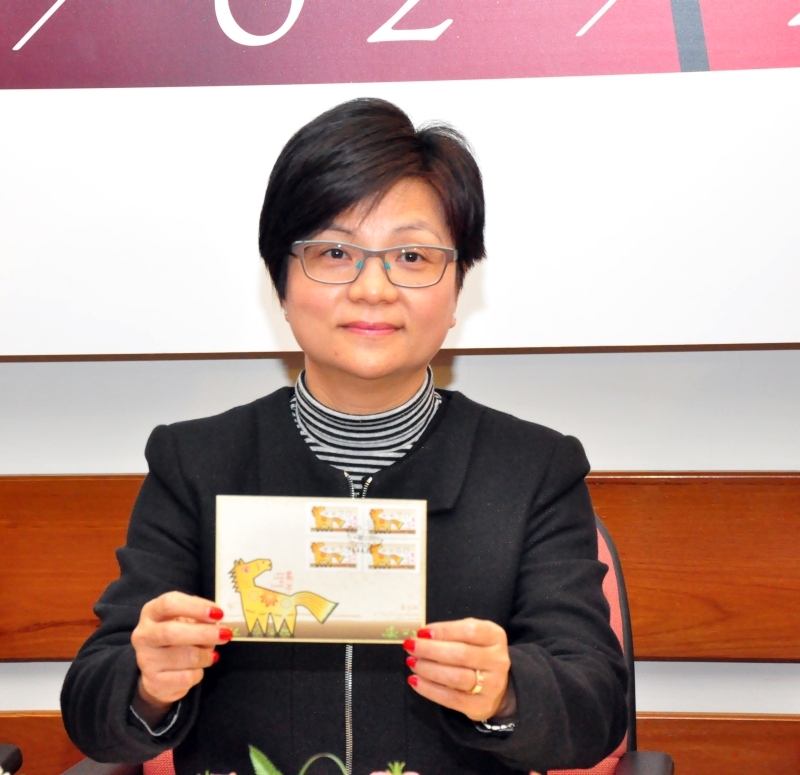 This is the third issue in 2014. 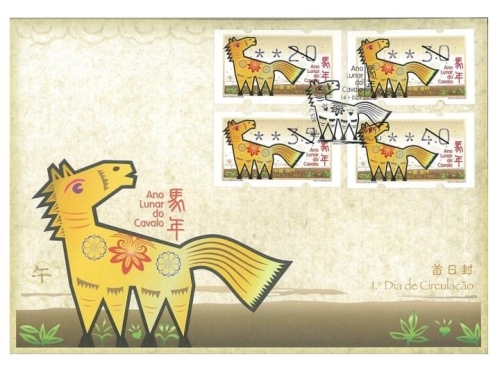 The previous issued stamps are “Lunar Year of the Horse” on 03/01/2014 and “140th Anniversary of Conde de São Januário General Hospital” on 06/01/2014.